Do you love Chipotle, but you’re tired of paying for carry-out? 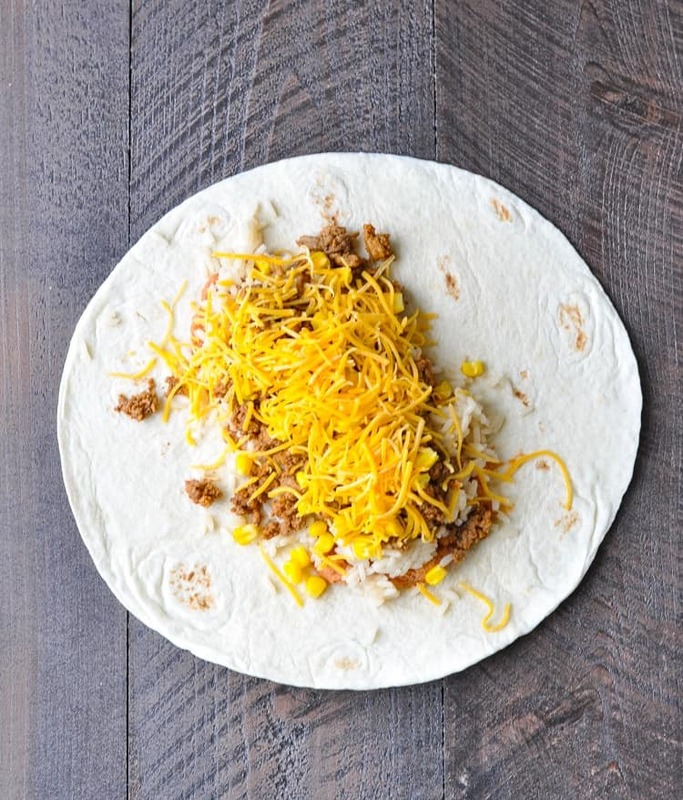 This is truly the easiest burrito recipe to make at home — and they’re freezer-friendly! Keep a stash in your kitchen and you can satisfying your Mexican food cravings any night of the week. 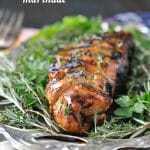 We all have those busy weeks when we don’t have the time or the energy to cook dinner. 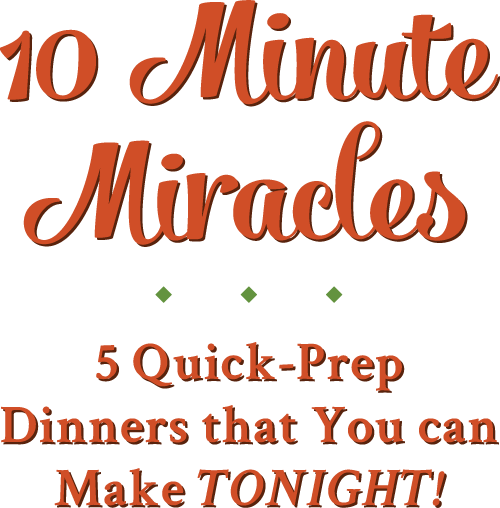 Simple prep-ahead options are the KEY to making mealtime manageable! 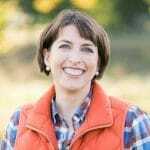 Whether you’ve just had a baby, you work long hours, or you’re juggling multiple kids’ sports schedules, I’ve got a burrito recipe that will bring the joy back to your family’s dinner table. Best of all, these store beautifully in the freezer! I’m so excited because I’ve finally figured out how to create burritos that don’t get soggy — and they still taste delicious. By eliminating watery vegetables and sauces, the tortillas stay firm and fresh. 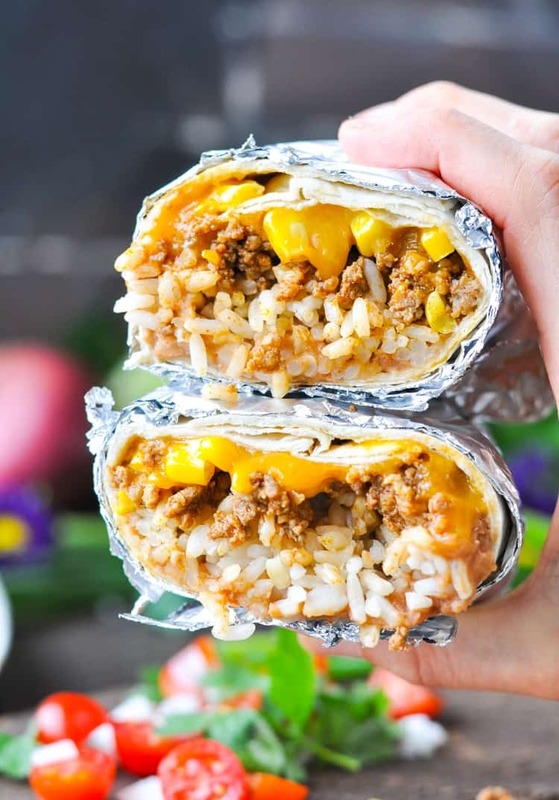 It’s a burrito recipe that actually delivers that crispy exterior…and that warm, cheesy inside! 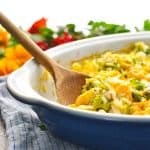 If you want to make sure that these are freezer-friendly, be sure to skip any watery fillings like tomatoes, salsa, or lettuce, which just result in a soggy tortilla. I use the large “burrito size” 10-inch flour tortillas (I like Mission brand because they’re extra soft and easy to fold without tearing). 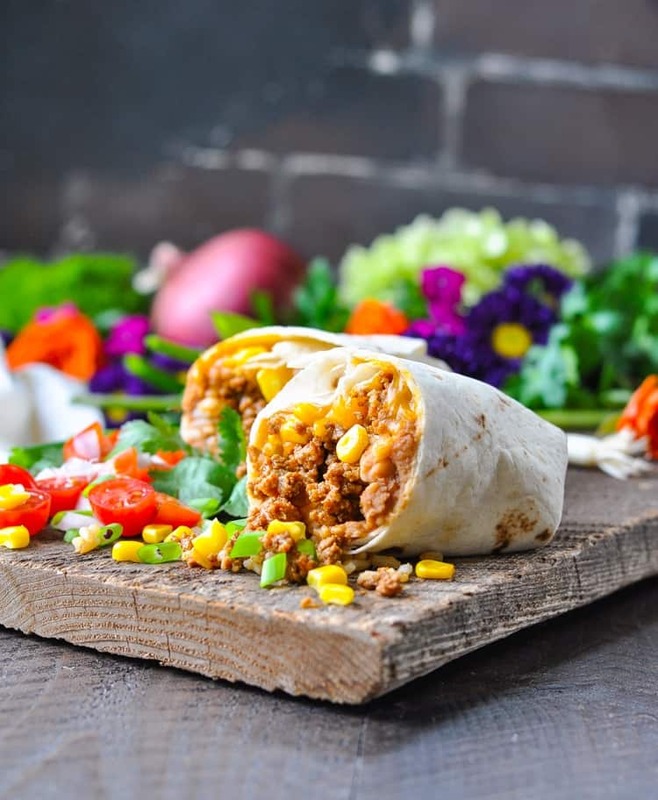 This burrito recipe creates 6 VERY BIG burritos! That means that my kids (and often myself) can only finish about half of a burrito at any given meal. As a result, I usually bake 3 burritos in an 8-inch square pan for one night…and save the other 3 in the freezer for another meal. That’s two dinners for 1 effort! BONUS. 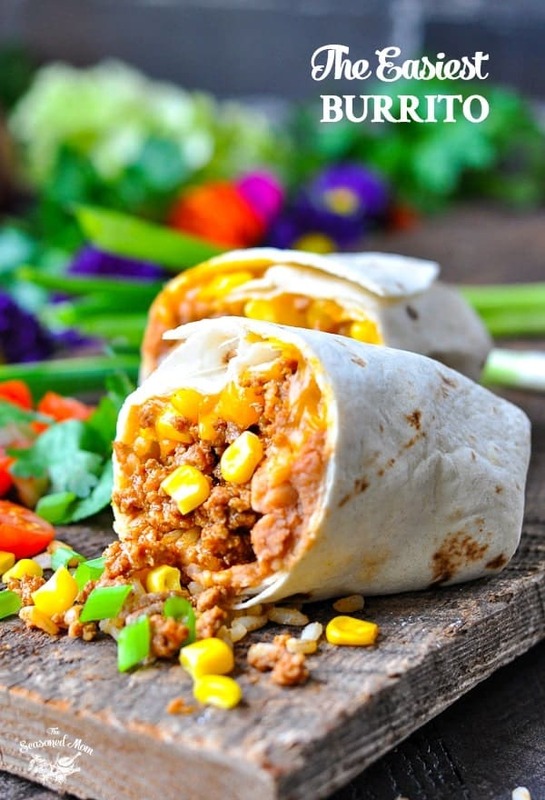 If you prefer smaller burritos, you can adjust the amount of ingredients that you use. 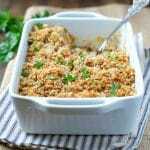 For instance, use less rice or less cheese for a lighter option. or wrap them in foil and keep them in your freezer for a later date. Both instructions are below. I tend to do half-and-half: bake some now, save some for another time! 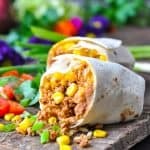 Whether you enjoy them instantly or reheat them when you need a quick dinner, I can assure you that this is one easy burrito recipe that you will turn to again and again. 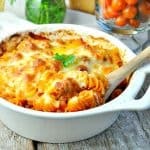 Thank goodness for simple, flavorful, and satisfying meals that the whole family can agree on! 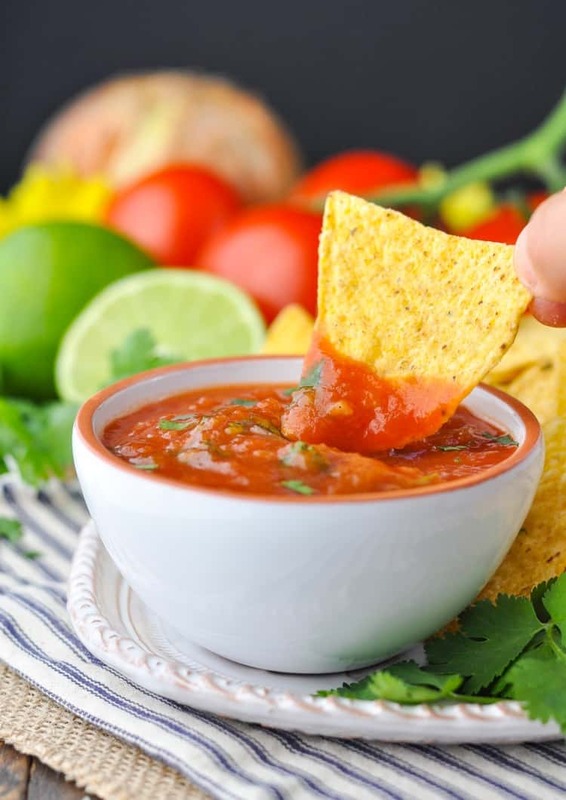 And don’t forget…chips and this 5-minute homemade salsa are the perfect side (and you’ll really feel like you’re dining at Chipotle)! Fold in opposite sides of each tortilla, then roll up, burrito style. Place, seam-sides down, in prepared dish. Repeat with remaining ingredients to prepare 6 total burritos. Cover with foil and bake for 25 minutes (until heated through). If you are baking the burritos from the refrigerator while they’re still cold, it will take about 30-35 minutes for them to heat through. 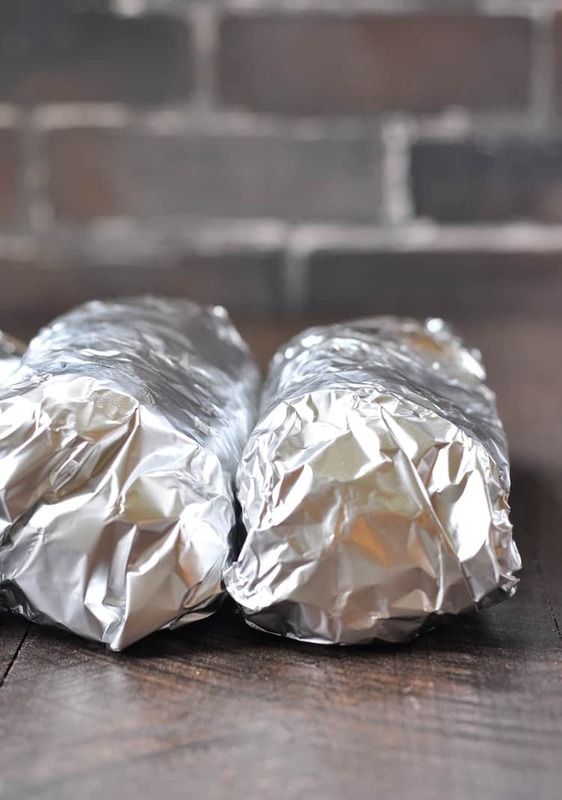 Freeze the burritos in individual servings by wrapping each burrito in aluminum foil before baking. Then just remove one (or more) burritos from the freezer when you’re ready to eat. 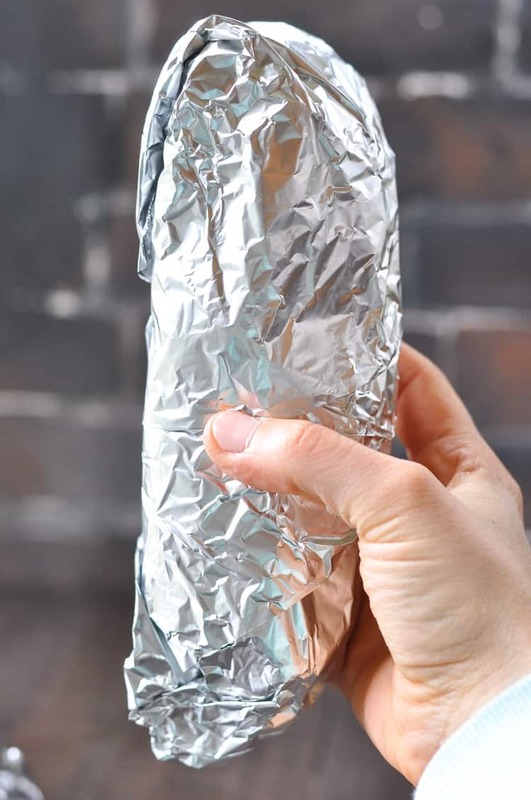 To bake individual foil-wrapped burritos straight from the freezer (while still frozen): Place foil-wrapped burrito on a baking sheet and bake at 350 degrees for 45-55 minutes. Thank you for including the heating instructions for fresh, fridge and frozen! 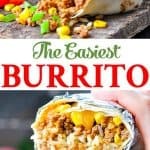 Quick question about the freezing of the burritos. Am I supposed to bake the whole batch and then freeze what I have left or do I skip the baking step for the ones I want to freeze until I’m ready to cook and eat them? Hey, Zachary! 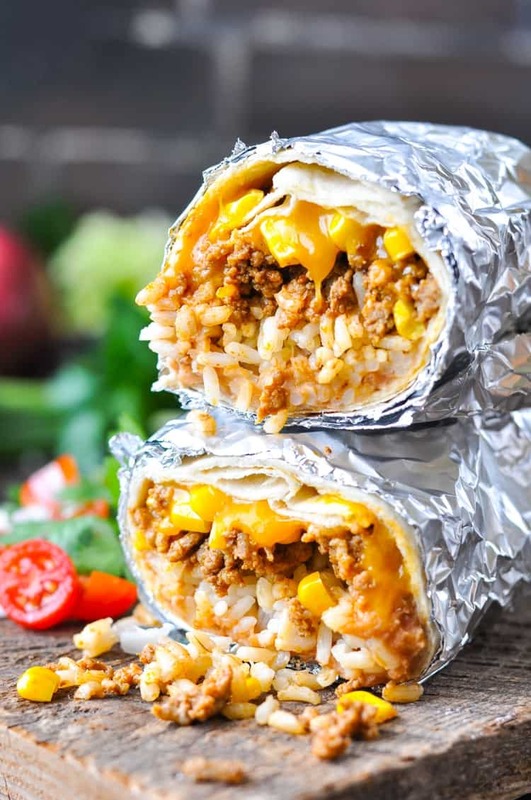 You just want to bake the burritos that you plan to eat right away. 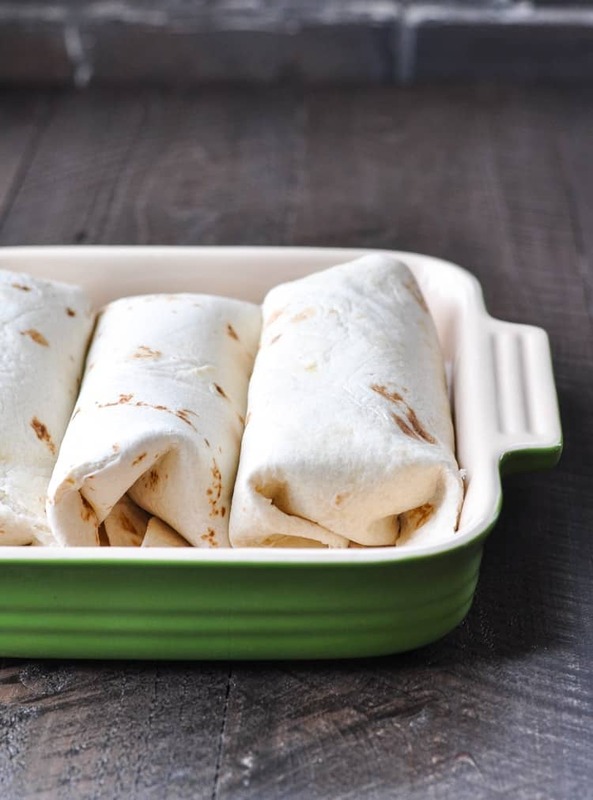 If you want to freeze any of them, skip the baking step and just freeze the burritos BEFORE baking them. Hope that helps, and enjoy! Can I microwave it ? Yes, I’m sure that you can — you’d just have to keep an eye on it to see how long it needs. I’ve never tried it in my microwave, and every microwave is a little different, but it should work just fine. You’ll want to keep it wrapped in a microwave safe damp paper towel or plastic cover so that it doesn’t dry out while cooking. Enjoy! so good! i substituted the tortilla with lettuce as i had some leftover, and it was fantastic! Thanks, Dan! That sounds perfect! This is perfect I’ve made it 3 times already! I really enjoyed this Burrito, but i think I made a mistake at the beginning.